CM998A Produce crisp, accurate, cost-effective drawings. HP printheads provide low-maintenance, high-productivity printing. So you can print with ease and deliver with confidence. Avoid the trial and error that costs you time with the trouble-free printing of HP supplies. Original HP printing supplies are designed to provide low-maintenance printing. 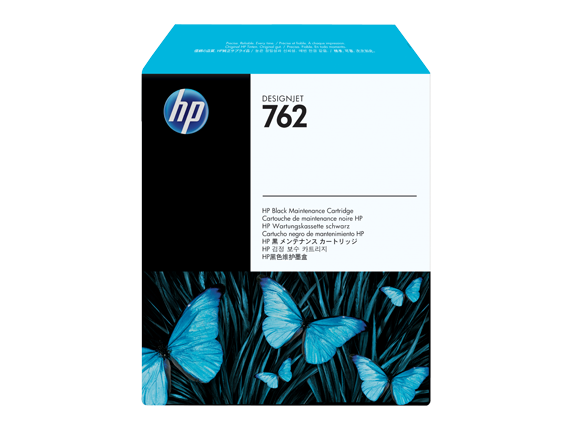 To Recieve updates and possible rewards for Hewlett Packard (HP) HP 762 Designjet Maintenance Cartridge please sign in. To Recieve updates and possible rewards for Printer Cartridge, Ink & Toner please sign in.